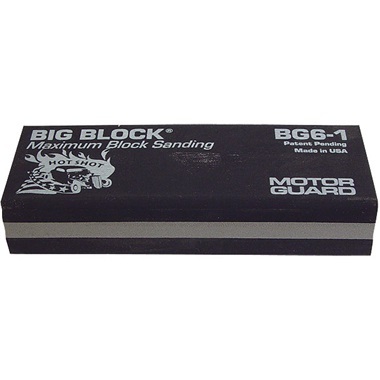 Triple-layer sanding blocks have a soft layer of rubber material sandwiched between 2 layers of hard rubber material. This gives the block more flexibility allowing it to follow slight contours and body lines. Use for block sanding. Accept 2-3/4" wide adhesive-back paper. Made in USA.